Thanks to Adriano Emi for these videos! Cher won at the cannes film festival in 1985 for her performance in " Mask". Great video of this year showing the winners and Cher's wonderful smile. Enjoy !! 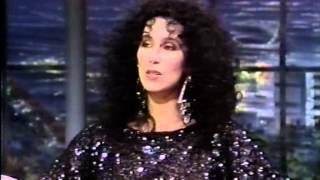 This is Cher shows Mike how to rollerskate 1979 on the Mike Douglas Show when she co-hosted the entire week. This was monday, day one. Enjoy! ...continued from Pt 1...unfortunately ends at 16:35. The Good news it ends complete...the bad news the tape overlapped something with John Davidson & Karen Valentine then they wind up at Maudes. 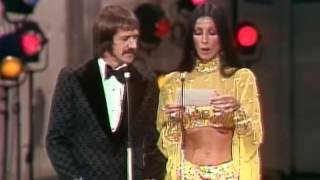 Cher and Sonny Bono presenting Al Kasha and Joel Hirschhorn the Oscar® for Best Original Song for "The Morning After" from "The Poseidon Adventure" at the 45th Annual Academy Awards® in 1973. Hosted by Michael Caine. 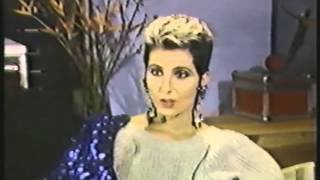 This rare Cher presenting on MTV Awards 1992 having fun with the crowd about her tattoos! Extra's Adam Weissler talks to Elijah Blue and Deadsy... and Cher. Includes performance at the Roxy, Sunset Strip. Cher made a guest appearance on Monday's "Dancing with the Stars," and "Extra's" Renee Bargh caught up with the superstar backstage with son Chaz Bono. 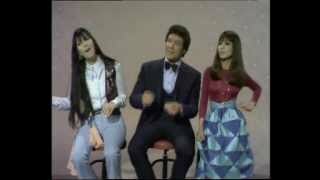 Rare Cher on Solid Gold from 1982 singing "I Paralyze". Great rare show. Enjoy!